WOODLAND HILLS, Calif. – Nov. 17, 2014 – Northrop Grumman Corporation (NYSE:NOC) has been awarded a contract from Naval Air Systems Command to deliver its next-generation mission computer for the Marine Corps' H-1 helicopter upgrade program. Under this contract, Northrop Grumman will provide FlightPro ™ Gen III mission computers for the UH-1Y and AH‑1Z aircraft. These aircraft will be the first to benefit from the latest model in the FlightPro ™ product line. Deliveries will be completed by October 2017. 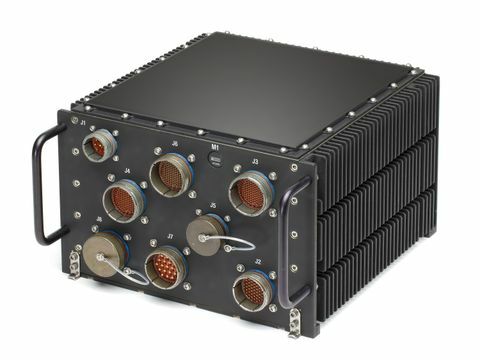 The lightweight FlightPro ™ Gen III mission computer integrates advanced mission, weapons and video processing capabilities into a conduction-cooled, high-performance airborne computer. "The FlightPro ™ Gen III mission computer has the latest computing technology and increased processing resources to improve situational awareness and lighten warfighters' workloads," said Ike Song, vice president, Situational Awareness Systems business unit, Northrop Grumman Electronic Systems. "Our latest model builds on the FlightPro ™ product line's solid reputation, value, proven performance and reliability in combat." Northrop Grumman will now provide identical mission computers for the UH-1Y and AH-1Z aircraft that make up the Marine Light Attack Helicopter Squadrons, resulting in greater cost efficiency and simplified logistics for deployed forces. Dual mission computers are the heart of Northrop Grumman's Integrated Avionics System (IAS) that powers the helicopters' glass cockpits. The mission computers provide centralized control of the IAS and display both situational awareness and health monitoring information. Additionally, the IAS and mission computers feature open, modular architecture that allows for easy system upgrades; rapid insertion of new technologies; and integration of other platform avionics, communication, and survivability equipment. Northrop Grumman also provides the operational flight program software that controls the IAS.